This past weekend’s bombshell revelations regarding the Pentagon’s secret UFO research program has sparked a media frenzy surrounding the phenomenon which has produced some additional insights into the story. The remarkable report published by the New York Times has received extensive coverage from national news outlets and catapulted UFOs to the forefront of the public consciousness for the first time in quite awhile. Unlike many stories generated by the phenomenon, this particular tale seems to have taken hold in the zeitgeist thanks to the seriousness with which the US government has been revealed to take UFOs. To that end, the response to the Pentagon’s confirmation has been largely curious rather than dismissive, although it has also spawned some thought pieces on the propriety of spending tax payer money on UFO research. Amid the tidal wave of stories detailing Saturday’s Times piece, some intriguing new details about the Advanced Aviation Threat Identification Program have come to light. Perhaps most tantalizing is that the group produced a 490-page report on their research that was ostensibly issued to the Department of Defense. It is unknown what insights were contained within the report as well as whether or not it will be made available to the public. Equally remarkable were some new insights into the “metal alloys and other materials” that were purportedly recovered and studied by the AATIP. One of the Times’ reporters who penned the story elaborated on that aspect of the research in an interview with MSNBC. How the story unfolds from here remains to be seen, but there is hope in the UFO disclosure community that the tremendous public interest in the Pentagon’s admission can create momentum towards more revelations from the government. More cynical observers and seasoned UFO researchers are taking something of a ‘wait and see’ approach as the constantly-churning news cycle may push the phenomenon back into the periphery before any progress towards answers can be achieved as has happened many times in the past. And some concerned conspiracy theorists are already crying foul and warning people that the ‘threat’ aspect of the AATIP’s mission may be used to fabricate a ‘hostile ET’ narrative should this truly be the start of some kind of UFO disclosure. While that may turn out to be the case, the attitude of many who have longed for UFO answers seems to be that they’ll cross that proverbial bridge when they come to it so long as they receive confirmation about ETs. 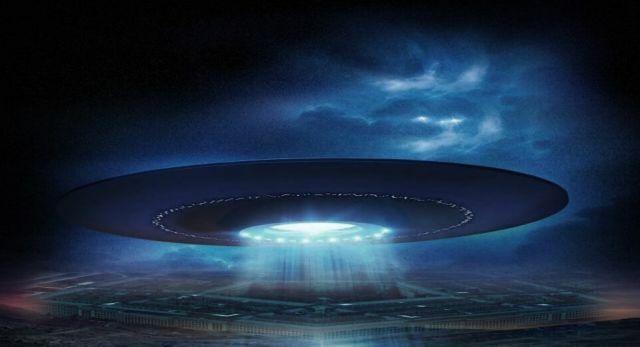 Ultimately it may take some time before we know if the Pentagon’s admission was a watershed moment in the march towards UFO disclosure or simply another maddening misstep leading us even further into the dark. By contributor Jeffery Pritchett host of the Church of Mabus radio show.